Ting Mobile, a North American mobile service provider, recently conducted a survey of just over 1.400 smartphone users. 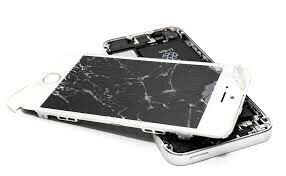 It found that 64% of these respondents reported cracks in their screens, most of which (62%) did so through dropping their devices. The survey also found that only 11% repaired their own phones, whereas 64% would be interested in a DIY repair kit to help them do so. Ting Mobile is a carrier with a 'pay-as-you-use' business model. It also conducts something called the Epic Phone Fails survey, in which consumer attitudes to smartphone damage and repair are assessed. Its latest such study included responses from 1,432 phone users collected during March 2019. This survey resulted in findings that 64% of these users reported a history of cracking their screen at least once. Interestingly, 66% of these respondents also claimed that this happened while a screen protector was installed, compared to 60% that went without one. 51% of the total group reported having a phone die due to exposure to liquid; an almost inevitable 30% admitted that a toilet had been involved in these incidents. The Epic Fails survey also found that only 11% of the group had fixed their own phone. However, 35% of them reported that they would feel up to replacing their phone's battery themselves, so long as they had access to a DIY repair kit and a video tutorial. 27% of the respondents felt that they could replace their phone's screen under the same conditions. 64% of the respondents would also buy such a kit from a smartphone OEM. Finally, 58% reported that they would be more likely to buy from an OEM that did so.